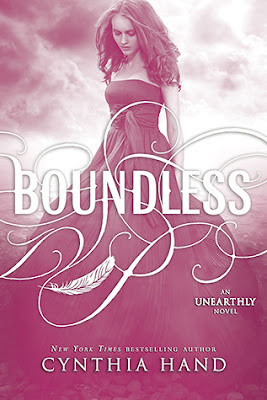 Today, I'm going to be featuring the gorgeous cover for Boundless, the final novel in the Unearthly trilogy. Check it out! Whoever designs YA covers has been doing an amazing job of it. I feel like I'm becoming repetitive, but the cover of Boundless is gorgeous! Subtly detailed with a bit of a foreboding edge to it in the storm clouds, I think it fits the atmosphere very well. The story has a dark edge to it, as well as hope and light and I think it's featured well in this cover. The girl looks similar to how I picture Clara and I absolutely love her dress. I also adore the wash of pink which I find to be a bit uncommon in YA books! 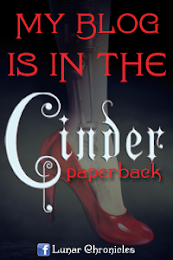 The font that is used on the cover is magical, and I honestly love the title! Another bonus? This cover matches the first two in every way I mentioned, including being gorgeous! I have to say, I'm pretty excited to read Boundless! I've liked both of the previous novels, and am really looking forward to seeing how it wraps up. And getting a chance to stare at the cover in person! 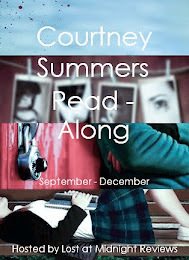 Boundless is out January 22nd, 2013 from HarperTeen!